The most attractive aspect of Virtual On’s gameplay is its pace. For this reason, when you first take your mecha into one of the arenas you may find the experience somewhat underwhelming. 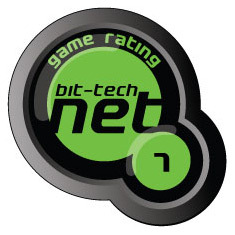 While that period of standing more or less stationary and prodding buttons to see what they do is a mandatory beginning to most games of the genre, the essentiality that is actually a word of pace to make Virtual On shine ensures that your first 30 minutes or so in the game will be decidedly boring. Once you start getting the hang of the controls, in particular navigation, the proceedings really start to come to life. There are two main navigation manoeuvres to master, jump and turbo, the latter of which can be done either to the left of the right. Turbo is like a fast strafe, ideal for avoiding attacks, most of which are target-seeking so it’s important to watch the curved projectiles and avoid their trajectory. You can also combine the two, jumping high in the air and then dashing quickly left or right, avoiding your enemies attack and sending a volley of your own arching towards your enemy while you do so. 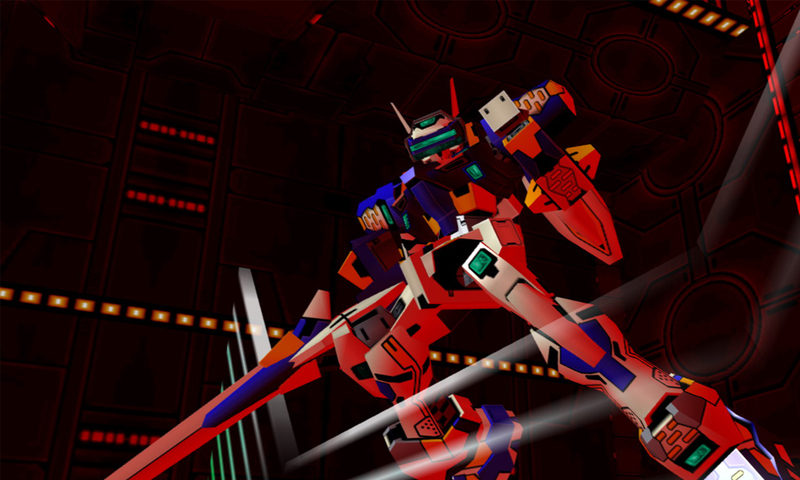 Virtual On is at its best when two evenly matched opponents are against one another, be it two people playing online or you against the computer. However it can be tricky to get such fights when in singleplayer as the balance of the AI is a bit skewiff. We found that some opponents were triple nails to beat and others were a walk in a sunny park on a mild afternoon, glass of Pimms in hand. A decent degree of effort has gone into to adding tactical elements to the game too, with some attacks lowering armour and doing no damage but allowing for greater damage to be done on subsequent attacks. Also some special attacks have a recharge time so you can’t fly around spamming your biggest guns like some kind of giant war robot from a Japanese anime. The most brutal and effective way to floor your opponent is melee combat, the animations of which feature cool beam weapons to accompany the rumbles from your Xbox controller. Although melee combat is very effective, its tough to land hit with as the robots are super fast. Timing is both crucial and split second, but a well planted swipe can turn around even hopeless of situations which only serves to add more adrenaline to the proceedings. Avoiding incoming fire while landing your own attacks and being mindful of the tactical elements such as debuffing and melee combat leave you with a hyper-paced and highly skilled beat’em up. The excellent balance of the actual combat system could easily be compared to the timeless Street Fighter II even if finding an even opponent can be tricky at times. There’s no doubt that Virtual On is a classic. The strong retro Japanese art style alone will be enough to have many gamers feeling nostalgic about their arcade days even if they haven’t played this particular title. 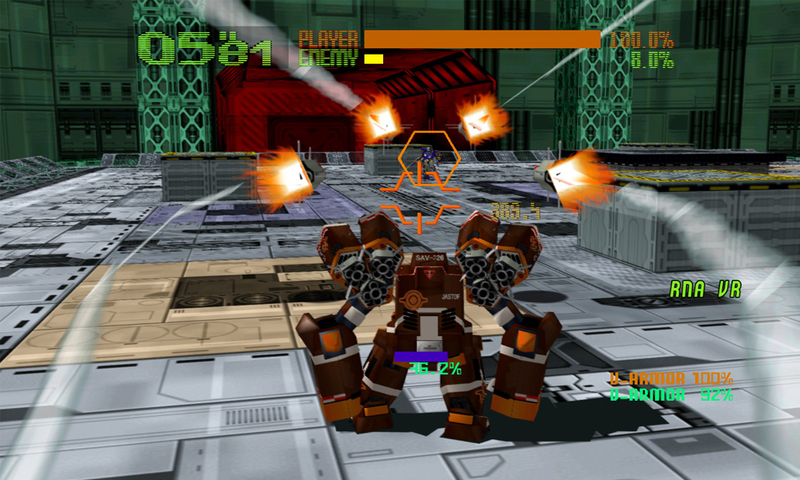 Much like any other fighting game, you’ll need to invest a little time into getting the hang of navigating your massive mecha nimbly around the arenas before you really feel you’re getting your money’s worth. Once you’ve mastered this however, there are some truly epic battles to be had from the game. One serious flaw though is the lack of vs. mode against a buddy. Sure you can play online or link two Xboxes together, but for all that’s holy in this world, offline two-player vs. mode has been a standard option in beat’em ups since we the found out the world wasn’t flat. Once you’ve gotten over the shock of this realisation however, Virtual On is one hell of a game and this rendition on Xbox live Arcade is (almost) everything that earned the original a long lasting place in the hearts of so many gamers.